Pastors and teachers use analogies regularly as opportunities to drive a message home We relate well to stories and they help us to better understand concepts. They are also a means to helping us apply God’s Word in our lives. I was thinking about my dream while I was dreaming. 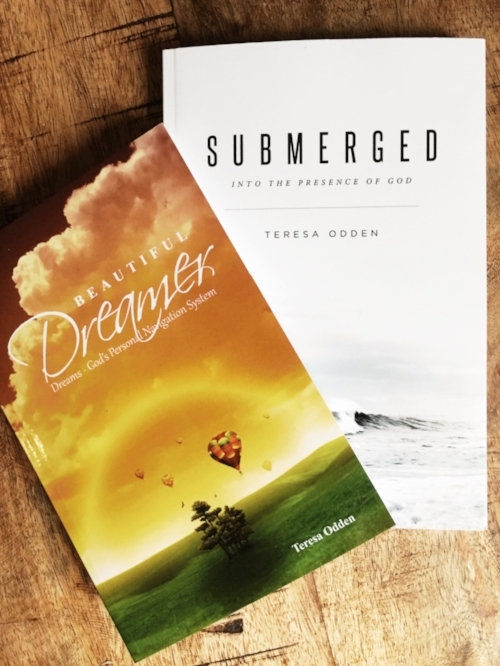 What this reinforces is I don’t have control over what I dream, but talking about it reveals that what isn’t actually real can provide a spiritual lesson from a Biblical perspective. I was standing on a beautiful cliff with a group of friends. The view was stunning and it reminded me of the white cliffs and height of the island of Capri as well as the height of the Amalfi Coast in Italy. Friends were telling me to find a section on the cliff where we could jump from. They wanted me to lead the way and dive into the sea. I paced back and forth until I found what I thought to be the safest position to dive from. I said nothing and took a leap. I rotated in a half circle, twisted at my waste, and looked back. While I was suspended in the air the cliff that I had been standing on was carved into the shape of an alligator. When I saw the alligator in my dream, I woke up with a jolt and sat straight up in my bed. I felt an intense fear that I was still standing on the enemy and there was no turning back. The scripture that came to mind immediately upon waking up was when Satan led Jesus up the mountain to be tempted. Here are some ways you can apply these images to your life from a Biblical perspective? · Develop a keen awareness of the enemy’s presence. My friends egged me on, convincing me it was safe to jump. In reality, it’s unsafe to jump from a cliff of that height. If things aren’t making sense in your life, perhaps it’s because you aren’t recognizing how the enemy’s presence is effecting you. · Emotions distinguish our faith. Fear is an indicator what is of God and what is not. God would never lead me to my demise. If it were God, then I would be filled with a desire to take a leap of faith, not a leap of death. · Mother tongue. Since childhood we’ve been taught a language. Language enables us to communicate with other people. If you want to understand how to use the Word of God, learn the language of your Heavenly Father. Read your Bible and study it. Like any speech, if you don’t use it, you’ll lose it. · The weapon of choice. The Word of God has the power to shape the way we think and react. Stand firm on the Word of God and use it the way Jesus did. Know it before you need it. · Crush Satan. The thought that I had been standing on the enemy sent chills up my spine. I feared what Satan could do to me but the Bible states that God has already crushed Satan under his foot. I must know and believe that with God’s help I can do the same. How would it have been sin if Jesus had taken Satan up on his offer? This is what I think. Satan tried to tell Jesus he would die in both instances unless he believed what he said to be true. He implied if Jesus didn’t eat the bread and didn’t believe the angels would catch him, he would die. Both sound reasonable to me, especially given that God is supernatural and Jesus knows full well that bread could be made from stone and that angels are there to protect him. Listening to the devil isn’t sin, but doing what he suggests is. Jesus trusted his Father to feed him and lead him. Jesus did not surrender his will to the devil. When have you been duped into believing God wanted you to do something, when in fact, you never listened to hear his voice?